For much of the last decade, discussions about the viability of the European project have focused primarily on the degree of solidarity, or lack thereof, between European member states in the face of the 2008 economic crisis and its aftermath. But, no one could have predicted that borders and border control would be reestablished within the EU in response to the movement of millions of refugees escaping a war-torn region outside Europe and seeking shelter within it. The European project itself emerged, to use Immanuel Kant’s hopeful terminology for all humanity, as a ‘federation of peace’, meant decisively to overcome the mayhem, destruction and genocide of WWII and the massive ethnic cleansing that succeeded it. Hence, ‘Europe’ has come to stand as the promise for humanity at large of a kind of politics and political union functioning beyond war. In this light, how should Europe and Europeans react in the face of the refugee crisis? Given their own history, not to mention that many of the problems of today’s war-torn Middle East bear the legacy of European imperialism, do Europeans have a responsibility to come together to shelter and integrate refugees rather than allowing themselves to be split apart once more by denying them such access? Or, can ‘Europe’ only survive in its ideals and peaceful way of life if it manages to secure itself from the wars and war-torn world in which it still finds itself? 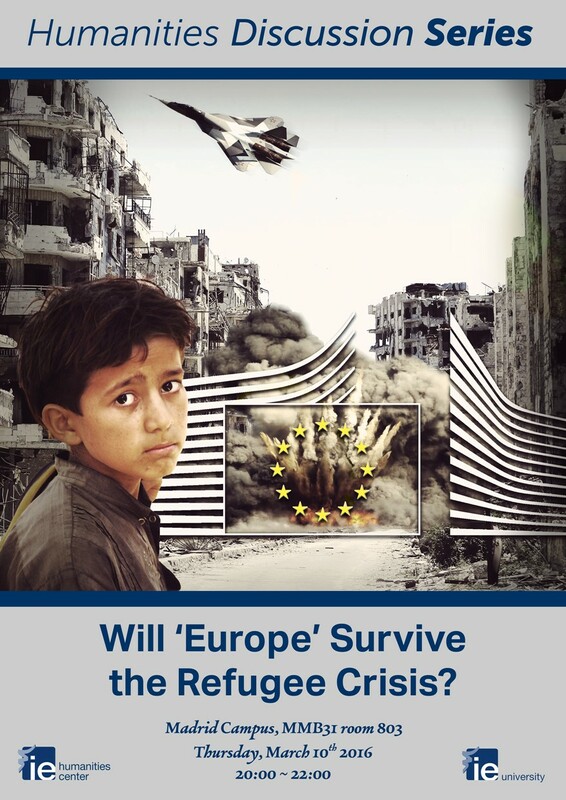 We invite the campus community to come on Thursday and discuss with us your own point of view on the most important question facing Europe today, one that will decisively shape its future. Who are the best students?